You are here: Home / Notes 101 / Seller Financing – What The Real Estate World Needs Now! Seller Financing – What The Real Estate World Needs Now! Need a new car? Get one free with your next home purchase! Desperate homeowners are offering all sorts of incentives to buyers in the wake of some staggering new data. But forget granite counter tops, hardwood floors, and shiny new cars. What the real estate world needs is financing. So first the harsh reality…and then the owner financing solution! the 2.9 million homes in some stage of foreclosure in 2010 are still sorting their way through the market. Wondering what the real estate world needs now? Well it’s love sweet love from mortgage lenders. NAR chief economist, Lawrence Yun expects an uneven recovery. “Housing affordability conditions have been at record levels and the economy has been improving, but home sales are being constrained by the twin problems of unnecessarily tight credit, and a measurable level of contract cancellations from some appraisals not supporting prices negotiated between buyers and sellers,” he said. “The decline in price corresponds to the record level of all-cash purchases where buyers – largely investors – are snapping up homes at bargain prices,” Yun explained. (Source NAR news release 3/21/11 at http://www.realtor.org/press_room/news_releases/2011/03/feb_decline with emphasis added). Tired of waiting for mortgage conditions to change? Many sellers are taking matters into their own hands and offering seller financing. 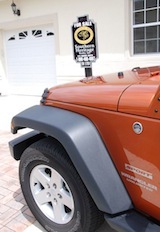 For Sale ads and listings abound with the “Owner Will Finance” incentive. And the news is noticing. Seller financing was recently mentioned in USA Today in an article entitled Home Sellers Pull Out All Stops To Attract Wary Buyers. Regular readers know I love seller financing! I bought my first house as a single mom with financing from the owner and later purchased a 4-plex the same way. Next it was acting as a seller offering financing to a new buyer. About the Author: Tracy Z. Rewey has been helping sellers, buyers, and investors achieve their goals with owner financing for over 20 years. Grab your copy of her free report and newsletter at NoteInvestor.com. This article is copyrighted and available for reprint when a link to this site has been included.